I always wanted to be a travel writer. When I mused about this dream, I imagined myself staying in small towns across France, soaking in the joie de vivre and sharing my travels with others. I started freelancing full-time to pursue this distant goal, but lucrative opportunities tugged me in a different direction. Quickly, I found myself working with tech companies as a copywriter and content strategist. Instead of writing about life as a traveler, I wrote about everything from productivity to sales. This work gave me unexpected benefits: high income, a strong referral network, and the confidence that I could carve my own professional path. Along the way, I learned how to run a business while embracing the freedom of being self-employed. As my writing and consulting have garnered more attention, something else evolved with it: the desire to go back to my original plan and work as a travel writer. Surprisingly, this next step has brought up even more fears than my first leap out of the 9-5 world. I already have a thriving business - why can’t I just be content? I know I’m not the only one feeling this pull to transform my work. Creatives, at their core, are chameleons - and we want our businesses to evolve with us. I sat down with Chris Guillot, the founder of Merchant Method and a business coach, to discuss the do’s and don’ts of changing the direction of your business. When I told Chris Guillot that I wanted to be a travel writer, she said, “Congratulations!” Her affirmation caught me off guard - in a good way. Do I want travel writing to be a hobby or my life’s work? 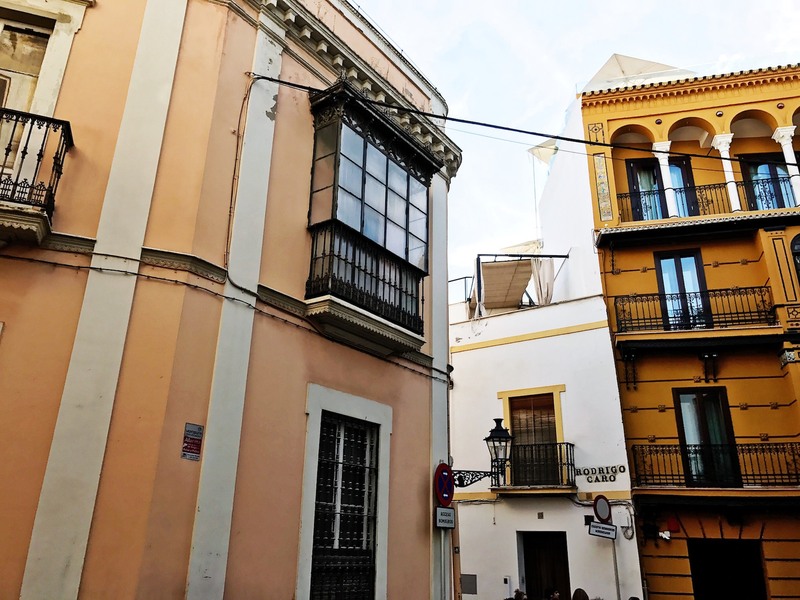 Recently, I went on a whirlwind trip to Andalusia, Spain. Instead of approaching the trip as a vacation, I decided to pretend I was a travel writer on a work trip. How did that change the dynamic of the visit? Did I enjoy it less or more because the vacation became a job? While on the trip, I noticed that I automatically think of places to go, people to see, and unique experiences to uncover. I can’t turn it off! I don’t know how this penchant for exploration will evolve into a business, but it’s clear that I want it to be a big part of my day-to-day. Because creatives tend to be multi-passionate, think holistically how you can build a life that nurtures you. Play and explore hobbies and new business ideas without putting on the pressure. The more breathing room you give yourself to discover this new passion, the more likely you are to invest in the right decisions for you. Growing your business requires intention, especially because of your pre-existing community of customers or clients. How do you evolve your work without losing your base of support? There’s no guarantee, but taking mini steps (rather than giant leaps) enables you to test the waters before making a commitment. Ideally, you’ll find a few ways to try out your offering with a target audience. I took this idea to heart, peppering my usual client work with the occasional travel writing piece. This winter, I completed a big project for Travel & Leisure. I just published an article for Mic, too. Both publications reach my desired audience and offer a platform bigger than my own that can gauge the viability of my work in the field. Guillot suggests makers think about similar opportunities for cross-pollination, partnering with other companies on product collaborations or shared projects. This approach enables you to extend your offerings temporarily without draining resources and diluting your brand. Rifle Paper Co. has mastered this approach. Their strategic partnerships with companies like Keds, Le Sportsac, and Cotton + Steel have expanded the company’s reach without pulling away from their values and visual aesthetic. Is there a way you can apply the same principle to your own work? If you’ve explored your passion as a hobby and established its potential viability in the market, you’re ready to contemplate next steps. Although there’s no wrong direction, it helps to clarify the relationship of this new concept to your current business model. Here are three approaches you can consider. A layered approach allows you to build on your pre-existing company in an unexpected way. I like to think of this approach as a tiered cake. Each layer of the cake can be different, but they complement each other and form a cohesive brand. Guillot’s favorite example of the layered method is Ada’s Technical Books and Café in Seattle. The owners Danielle and David Hulton opened a beautiful bookshop and café before adding a coworking space and an event space. The four-pronged business works because they share a similar clientele, despite their different offerings. Clever branding creates a sense of unity that translates beautifully to the retail space and social media channels. There’s no reason why two different concepts - and business models - can’t coexist within this big, wide world. If you want to pursue a new opportunity completely separate from your current business, your primary concern should be bandwidth. Jack Dorsey, for example, is the CEO of both Twitter and Square to mixed reviews because he’s always pulled in multiple directions. Guillot also advises that business owners consider “how different they’re willing to let this new business be.” Because you have already launched a business, you may carry limiting assumptions about your approach and experiences. Success requires both accepting and adapting to new challenges. First and foremost, that means creating the structure (and support) you need to lead two businesses at once. If you choose to leave one company in favor of your new idea, give yourself more than enough time for the transition. Don’t underestimate the energy it takes to say goodbye to a business, especially if you built it from scratch and benefit from a strong following. Transparency with customers and clients can also bring in varied feedback. As Guillot summarizes, “People deal with change differently. Some customers will be supportive or happy for you. Others will feel abandoned or let down.” By slowly exploring your options over a sustained period of time, you ensure that you’re exploring every possibility before completely shifting the focus of your business. Although advice can help guide you, your instincts are paramount. Be balanced and bold in your steps, building a strong foundation under your feet as you make each move. As for my travel writing, I’m still in the midst of this process, too. With a bit of gumption, I may be managing a completely different business in a year or two, and until then, I’m following Guillot’s advice to get there. Liz Wellington writes about creativity and making meaningful work. You can follow her on Twitter.